Electric Bird Noise - "Unleashing The Inner Robot"
Electric Bird Noise is from South Carolina and consists of Brian Mckenzie on guitar, effects, and loops, Rev. Doc. Scromps on guitar, effects, bass, and keyboards, and Trey Mcmanus on moog synthesizer. The promo material descibes them as playing "cinematic instrumental guitar music". I guess that by cinematic Electric Bird Noise is thinking in terms of creating themes or soundtrack music. Indeed this seems to be the case as they alternate between aggression and more peaceful sonic landscapes. These guys do a good job of creating varied guitar sounds, but also rocking out when brief moments call for it. "Number Four" opens the disc with a short but aggressive guitar assault. Don't make assumptions though because the next tune, "Lazy Tumbleweeds", is softer and more ambient. But hold on to your hats cause "Japanese Toy Song" will blast you with strained guitars and tribal rhythms. The guitars become quite manic and I was reminded of some kind of space battle scene. Electric Bird Noise incorporates loops which along with the tribal rhythms and crashing guitars create a frantic mood that didn't allow me a moment to catch my breath. Another highlight is "Cloudless Sulfur", a loop heavy tune with interesting percussion sounds that again becomes more intense after a minute or two. I like how the guitars will scream for a moment or two and then drop back to the opening theme. This could easily be annoying but Electric Bird Noise makes these stop/start changes work. "Number Three" features Frippoid sustained guitar notes to a techno rhythm. Soon a second guitar plays a slow but scorching melody along with the sustained guitar. A solid example of guitar-based electronica style music. "Three Thousand And Two" is the most dreamy ambient space piece on the disc. If we're talking cinematic this should have been the final track as it's a great closer. Gorgeous soundscapes that bring the listener in for a soft landing. "Anf/Spraid With Raid" is the only song with a standard rock guitar sound though this isn't by any means a regular rock tune. A very cool spacey tune that drifts more overtly into spacerock and even a bit of prog rock territory. A slow organ melody plays along with the space guitar and shooting synths to create a cosmically psychedelic atmosphere. One of my favorites. Most of the songs on this disc make concise statements rather than developing much so this an album that needs to be heard in its entirety to be appreciated. But Electric Bird Noise does a good job of making limited themes go a long way and exploring the possibilities of thematic development that also produces creatively cosmic music. I'll bet these guys could handle a sci fi film soundtrack quite capably. 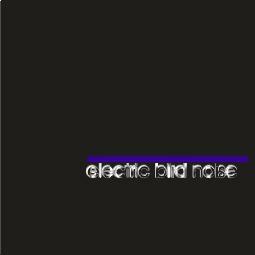 You can visit Electric Bird Noise at their web site.